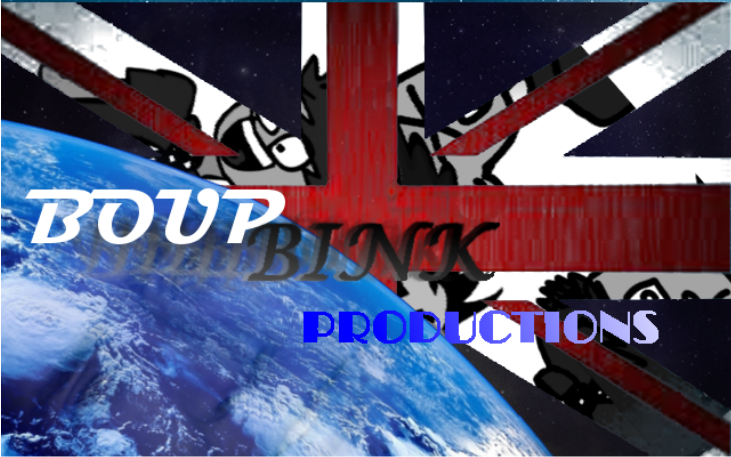 The World of Boup Bink Productions! - HOME. Boup Bink productions started in about 2008 near Christmas, with my mini series "SURGERY!" , a small thing about a messed up hospital that was just video clips. Later, around 2010 winter, i discovered Jaycut, my ticket to stop-motion animation. I started with my first movie, the truth about clones, which was a complete failure, but i then moved on to a new series, the classroom. Today I do my best to make animations and weekly (ish) drawings, as well as the occasional blog and even less frequent comics. Doing all this takes time, but i do normally upload in chunks, so if you feel like nothing has shown up, just look around the pages, especially the art page. so our name, boup bink productions(BOO-YOOP BEENK PROW-DUCKSHONS) came from my first ever sound effect in a actual movie(which my sister deleted>:F )and yeah it just caught on. it originally was Clay Dixon film,productions,yeah thing, and how its changed!